Whenever someone tells me that a sports car is "basically a race car you can drive on the street," my jaw clenches a little. Why do people think this is a good thing? If I spend the vast majority of my time driving on public roads, I want a car that's fun to drive there, where there are lines in the center, traffic lights and occasional potholes. If it's also great fun on a silky-smooth track with no lane markers, that's even better. But I don't want to have a stiff back and a headache waiting for track day. 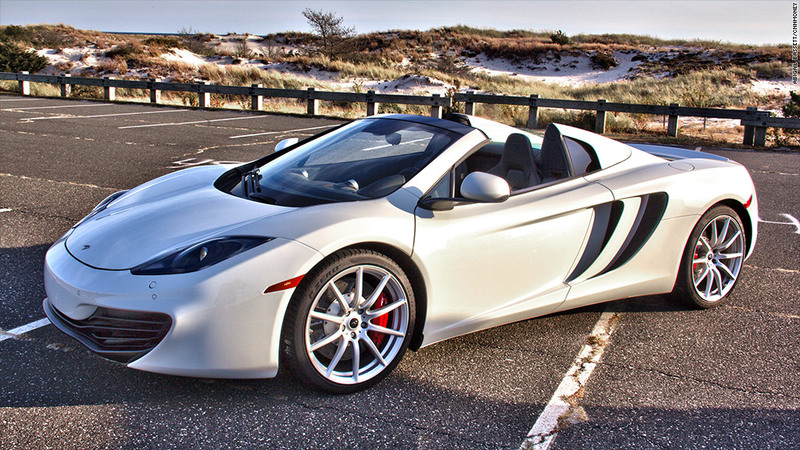 So you'd figure I'd hate the McLaren 12C Spider because -- in case you've never heard of McLaren -- it mostly makes race cars. To be specific, Formula 1 race cars, about the most un-car-like-looking race cars there are. But, somehow or another, McLaren's engineers did something amazing. They made a car that's absolutely track ready but, at the same time, it's surprisingly easy and fun to drive on real roads. I think I may be in love. Too bad it costs so much.